From November 6 to 12, in Abu Ghosh (about ten miles from Jerusalem), the first cultural initiative of the Saxum Foundation was held, with 450 people from all over the world taking part. Entitled “Dialogues on the Holy Land,” the program included conferences, visits to the holy places and round tables aimed at fostering knowledge and mutual respect among people from different religions. Among the speakers were Yariv Levin, Israeli Minister of Tourism, Andrew Briggs from Oxford University, and Eric Cohen, director of the Tikvah Fund. 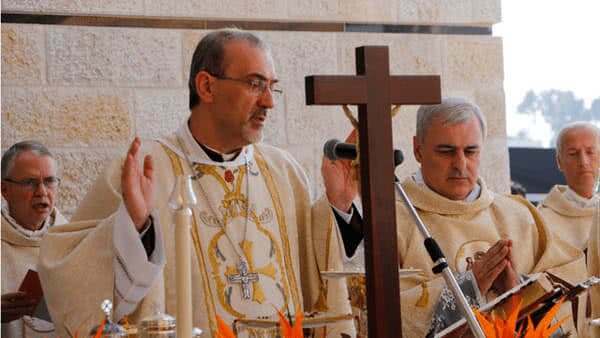 On November 11, a Mass of Thanksgiving for the beginning of activities was celebrated, presided over by Archbishop Pierbattista Pizzaballa, apostolic administrator of the Latin Patriarchate of Jerusalem, who was accompanied by representatives of other institutions of the Church present in the Holy Land. The Saxum project arose to help pilgrims to the Holy Land deepen in knowledge of the sources of their faith, and to foster intercultural and interreligious dialogue. Saxum had its origin in 1994 when Blessed Alvaro del Portillo, then Prelate of Opus Dei, visited the Holy Places. In accord with a desire of St. Josemaría Escrivá, founder of Opus Dei, Bishop Del Portillo encouraged the setting up of this center. The project includes a center for meeting the needs of pilgrims and a residential area for activities of spiritual formation. 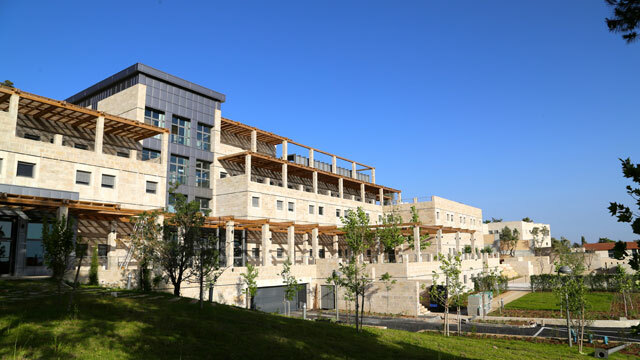 The Saxum Visitor Center will offer pilgrims an instructional tour of the Holy Land. Through advanced projection technology, personal explanations, audiovisuals and digital re-creations, pilgrims will learn about its geography, the holy places, the Bible and the central events of salvation history. Thousands of people will thus be able to prepare themselves better for a more profitable experience of their visit to the Holy Land. The center includes a small church where groups can attend Mass and receive the Sacrament of Reconciliation. An auditorium will also be available for presentations and conferences. Part of its activity will be providing courses for the tour guides in Israel who accompany thousands of pilgrims each year. The Activities Center (Saxum Conference Center) will organize retreats preached by priests of Opus Dei. Antonio Quintana, secretary general of the Saxum Foundation, says that “we want this initiative to help many Christians to encounter Christ anew and thus to strengthen the roots of their faith.” The residential area, which will open its doors in June 2017, has fifty guest rooms, a chapel, a dining room and various classrooms and common areas. Saxum is close to the village of Emmaus, where Jesus walked to with two of his disciples after the resurrection. The web page www.saxum.org has been providing information on the progress of the various aspects of the project, including the Conference Center and Visitor Center, the donations that have been coming in, the groups of people visiting the installations, and other initiatives such as “The Road to Emmaus” and meetings with tourist guides. Romana, No. 63, July-December 2016, p. 358-360.